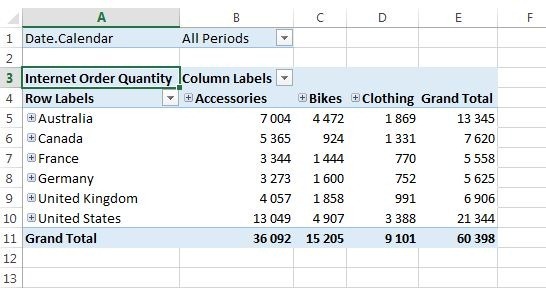 You can work with sets of dates in Excel 2013 if you use the GUI approach. First you can use the old Pivot Table report filter approach like below where you have a filter above the Pivot Table. If you would like to use a date interval you activate “Select Multiple Items” in the left corner and then you are left to click-click and click for all the relevamt dates. This might involv a lot of clicking especially if you would like intervals of 20-30 dates. With the Excel slicers you have a much more efficient way of marking ranges of dates. I assume that you know how to add slicers for a natural hierarchy in Excel. Below I have selected the first 5 days in July 2005 by clicking the first date in the interval and then using shift ´click on the last date in the interval. 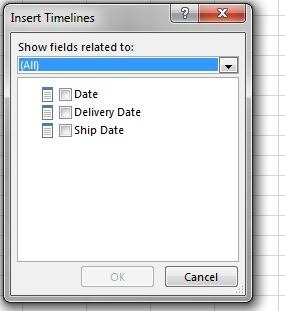 In Excel 2013 there is a third approach with Time Lines. That option is placed next to Insert Slicer in the Ribbon under PivotTable Tools. 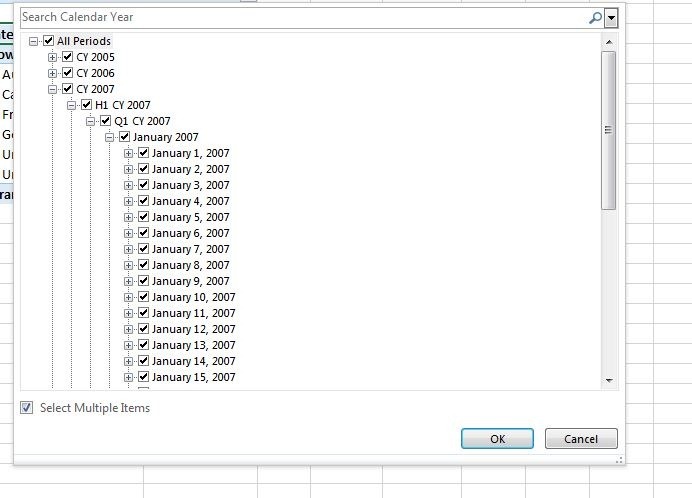 You are presented to the option to select the date hierarchy. I have swedish settings and År means Year. You can select levels in the upper right corner to select years and then the months of interest for quick navigation. I am on my way to the first five days in July in the picture below. When I have navigated to the date level of July 2005 I simply drag the cursor over the dates that I am interested in and the Internet Order Quantity sums up in the same way as with the slicer approach. It is always important to know about these less apparatent features in clients that will make the analytic daily work easier for our customers. 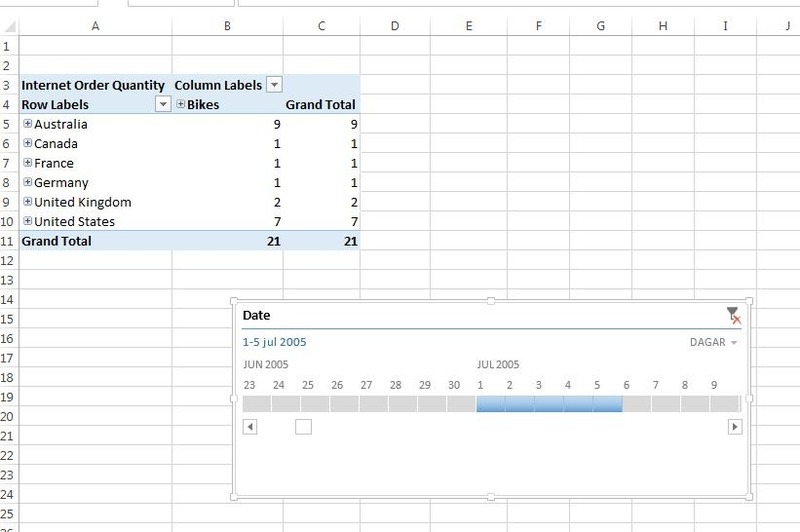 This entry was posted on March 3, 2013 at 18:38	and is filed under Excel 2013, OLAP klients. Tagged: BISM Multidimensional. You can follow any responses to this entry through the RSS 2.0 feed. You can leave a response, or trackback from your own site. What you can do is to check that you have a value column activated for your different date attributes. You can also check if you have the type property of date fields like year,month, date applied to the attribute. Check attribute properties in the dimension editor. Let me try that. Is it necessary that each attribute involved in the cube have a value in order for the timeline slicer to work? I can verify this but thought you might know. Thanks for the reply.